PhillyCAM is a community media center that brings together the people of Philadelphia to make and share media that promotes creative expression, democratic values and civic participation. Our Low Power FM Radio Station is one of the many programs and services PhillyCAM offers for community use for its membership. 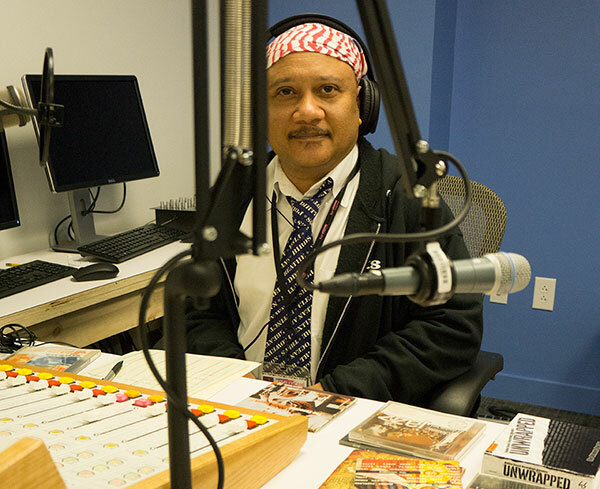 WPPM-LP, which stands for People Powered Media, has over 50 non-commercial educational radio programs produced by more than 80 volunteers who represent a diversity of PhillyCAM members. Our community produced programs include public affairs talk shows, arts and cultural shows, music programs, variety shows, and sports shows. Each week WPPM provides the community with over 65 hours of original, non-commercial educational content. WPPM features programs like Nika Tlaka that educate listeners about indigenous cultures and shows like Theater in the Round that highlight the local arts community in Philadelphia. PhillyCAM Radio also runs unique programs like Talking Machine Hour which uses 100 year old Victrolas to play 78 records from the early 20th century and shows like Sylver Alert which plays dance hits on 45s and tells oral histories of the LGBTQ community. WPPM's educational public affairs shows include programs like the Career Seekers Show and Labor Justice Radio and health programs like the Hispanic Healers Network and Healthy Moments Radio. The Micheaux Mission is aired on WPPM and it critiques Black films from and African American perspective while Pulling Focus brings in film makers and festival producers from the Philadelphia area. WPPM also features a variety of music programs that provide a platform to local artists and musicians such as What's Hidden Radio and Indie Evo Radio. In addition to the regularly produced weekly programs WPPM also collaborates with local nonprofit organizations to create special series like the Philadelphia Jazz Project's 5-part series on acclaimed jazz musician, John Coltrain, and the Mural Art's Project's 12 part documentary, Radio Silence, on the Iraqi Diaspora. After a 27 year long battle for public access TV, in 2009, PhillyCAM aired its first programs on Comcast 66/966 and Verizon 29/30. Activists and independent media producers rejoiced when Philly opened its first public access media center in the city. Media producers now had a community platform where they could share their stories and educate the public. Since then PhillyCAM has broadcasted thousands of hours of rich, diverse programming from community members and trained hundreds of people in media production. In 2013, PhillyCAM set its sights on radio and submitted an application to the FCC for a Low Power FM radio license. In January 2015, PhillyCAM was awarded a construction permit to broadcast on 106.5 FM in Philadelphia. While PhillyCAM was building WPPM, we worked to train radio producers, build a radio membership, raise money, and create radio programming for our station. In October 2016, PhillyCAM launched WPPM's live programming and we've been broadcasting on the FM airwaves ever since. Low Power FM Radio is a non-commercial secondary radio service offered by the FCC. The licenses are for non-commercial, educational purposes and only licensed to nonprofit organizations, schools, churches, or government transportation agencies. The Board of Directors of PhillyCAM will govern the radio station, along with the Executive Director. A Radio Committee has been assembled in order to build policies and infrastructure. The station will be one of the many programs and services PhillyCAM will offer to its members. PhillyCAM Radio is a member supported participatory community station re-humanizing radio with local voices and original programming. We support content that celebrates, respects, and reflects the rich cultural makeup of the Philadelphia/South Jersey area and provides a platform for diverse community perspectives. PhillyCAM Radio provides a medium for underserved communities and music not heard on mainstream media. We value content that is educational, respectful, inclusive, and innovative.